Dead skin cells make the skin appear darker and dull and cause to more fine lines and blemishes. Just taking a shower or bath is not enough to remove the layer of dead skin cells. One of the best methods to eliminate the dead skin cells and keep the skin soft and smooth is exfoliation every week. Exfoliation is essential for all the types of skin. This should be done on some areas of the body such as the face, elbows, knees, or feet that tend to become dark and dull. To exfoliate the skin, you don’t need to utilize chemical-based cleansing products. 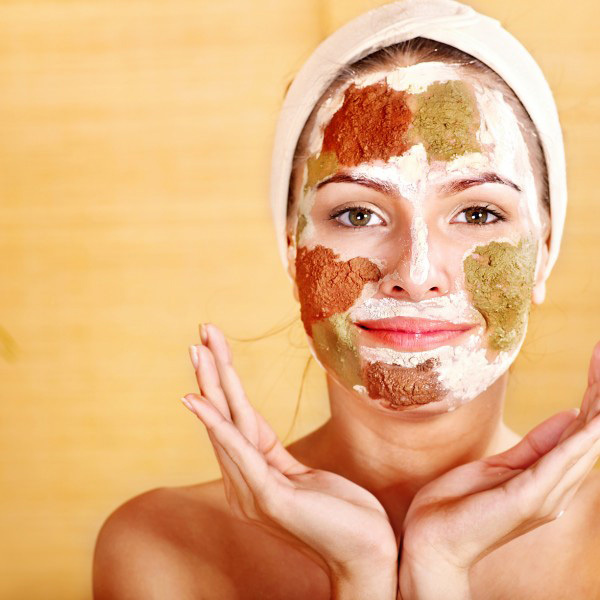 There are a lot of natural ingredients that can help to eliminate the dead skin cells. They also give way to the clear and fresh skin. Coffee is one of the smart choices for removing all the dead skin cells. Coffee grounds help to remove dead skin and support the production of new skin cells of the body. 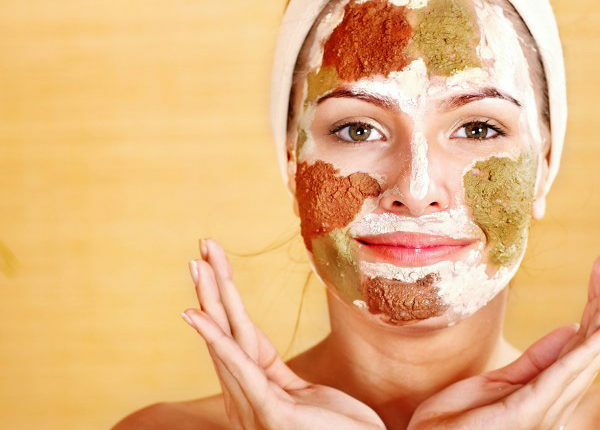 Moreover, the coffee grounds contain the flavonols that help to repair damaged skin, improve skin texture, and keep a glowing complexion as well. To get rid of dead skin cells with coffee grounds, you mix coffee grounds (3 tablespoons), almond or olive oil (1 tablespoon), organic honey (1 tablespoon) and fine sugar (1 tablespoon). Massage this paste over the face, knees, neck and elbows with gentle, circular motions. Leave it to sit on the skin for five to ten minutes. After that, use warm water to rinse it off and gently pat dry the skin. It’s advisable to use this scrub one time a week. Oatmeal works as a good natural exfoliating property for all skin types. Oatmeal contains the saponins that help to remove excess sebum, dead skin cells, and other impurities. In addition, oatmeal contains the minerals and vitamins, all of which are good for the skin. Furthermore, the protein present in it helps to prevent water loss to keep the skin moisturized longer. Below are two methods to make use of oatmeal for eliminating dead skin cells. Put instant oatmeal (2 tablespoons) into a bowl and add plain yogurt (2 tablespoons) and honey (1 tablespoon). Apply the paste on the face and massage to eliminate the dead cells with circular motions. Let is stay on the skin for another ten to fifteen minutes and rinse it off by using cool water. Then, pat dry the skin and finally, apply a light moisturizer. Make a paste by mixing oatmeal (2 tablespoons), honey (2 to 3 teaspoons), lemon juice (2 teaspoons) and some water. Gently rub the scrub for a few minutes on your skin. Keep it on for another ten minutes and rinse it off. You should repeat either of these methods no more than 1-2 times a week. These scrubs can be used on your face and body as well. A great way to pamper the skin is using almonds. They are packed with vitamin A, E, and healthy fats that help to maintain younger-looking and healthy skin. You need to soak 10 almonds in milk or water overnight. Peel off their skin the next morning, and grind them into a granular paste. Later mix in 2 tsp of honey and apply the paste on the face and neck. Then, rub it for a few minutes in a circular motion and leave it to dry on the skin for ten minutes. After that, rinse the face by using lukewarm water. You should use this face scrub two or thrice a week. The best natural home remedies for dead skin cells removal is using orange peels. The slightly abrasive nature of orange powder acts as a natural exfoliating property. It can help to remove dead skin cells and dirt from your skin. In addition, orange peels have vitamin C and antioxidants that help to rejuvenate the skin, making it appear vibrant and young. For this purpose, mix orange peel powder with plain yogurt in equal amounts to make a smooth paste. Apply this resulting paste on the neck and face area. Let it sit a gap of 15 and 20 minutes. Gently rub off the paste with wet hands in circular motions. Repeat once a week. Another natural ingredient that helps to eliminate dead skin cells is using gram flour. It makes the skin glow. In addition, it helps to rid the skin of excess oil and prevents problems such as acne, blackheads and pimples. Firstly, mix together gram flour (2 tablespoons) and plain water or rose water (a few tablespoons) to make a paste. You just apply this paste on the skin and keep it on until it completely dries. Then, use your wet fingers to scrub the paste off and rinse your face. You can mix gram flour (2 tbsp) and plain yogurt (2 tbsp). If desired, add 1 tsp of turmeric powder. You can add some more yogurt if this paste is too thick. Spread the paste on your neck and face. Let it dry completely and then rinse it off. It’s suggested to use either of these methods once or twice per week. Avocado seed is also one of the most effective home remedies for dead skin cells removal. It even helps to remove excess sebum as well as other impurities from your skin. Avocado seeds are packed with antioxidants, which help to repair and nourish damaged and dry skin. For this purpose, you wash some avocado seeds and later remove the brown skin. Then, with the help of a high-powered blender or a coffee grinder, grind these seeds into a powder. Then, mix this powder (1 tbsp) and 1 tsp each of honey and olive oil in a bowl. Rub this mixture gently all over the face, hands, necks and other body areas using circular motions. After 10 to 15 minutes, take a bath. For more beneficial results, use this scrub one time a week. This way also helps to remove dead skin cells. In addition, it tightens your skin and enhances its texture as well. For this purpose, you stand upright in the bathroom and start dry brushing the feet and move your way up gradually, covering your thighs, legs, abdomen, chest, back, shoulders and arms with gentle but brisk motions. Do this for around 10 to 20 minutes. After that, have a long warm bath. Lastly, pat dry the skin and follow up with applying a moisturizer. Repeat this several times a week. Green tea leaves help to exfoliate the skin to eliminate dirt, dead skin cells and other impurities thanks to its slightly rough texture. Furthermore, it promotes skin complexion and skin elasticity and makes the skin healthy. For this aim, take one to two used green tea bags and scoop out the contents of them into a bowl. Later add 2 to 3 tsp of honey. If desired, add 1 tsp of baking soda and mix them thoroughly to form a thick paste. Then, spread this combination all over the face and gently scrub off this mask with wet fingers after ten minutes. To get a good result, use this scrub 1 time per week. Hope that this post is useful for you. Follow one of these methods regularly and you will see the improvements. This guest post is by Mai Cao, a blogger with many years of experience on searching the best natural home remedies for skin or hair care and health issues.